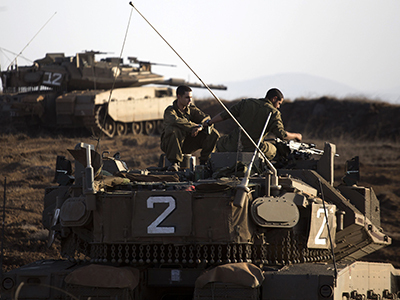 Israel artillery has fired back at Syria after gunfire hit an Israeli military vehicle in the Golan Heights. The incident comes amid high tensions in the region as Israel is waging an offensive against Gaza while civil war continues in Syria. No one was injured in the exchange of fire on Sunday, the Israeli military said. This has been the latest spillover of violence from Syria, where rebel fighters are trying to topple the regime of Bashar Assad. 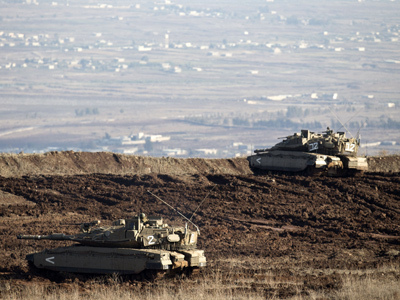 "Shots were fired at IDF (Israeli army) soldiers…in the central Golan Heights," an army spokeswoman told AFP. "Soldiers responded with artillery fire towards the source of the shooting." 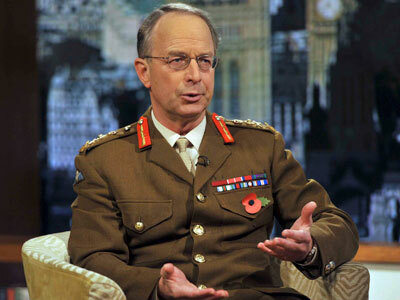 The Israeli military however did not know if they were attacked by Syrian rebels or forces of the Syrian government. Last Monday, IDF tanks fired on two Syrian mortar shell batteries in response to an errant mortar shell that landed near an Israeli outpost in Hazeka. A similar cross-border incident happened a day earlier. The government of Israel has stated that it does not believe Syria is intentionally targeting Israeli territory, but held Damascus responsible for any attacks originating from its side of the border. 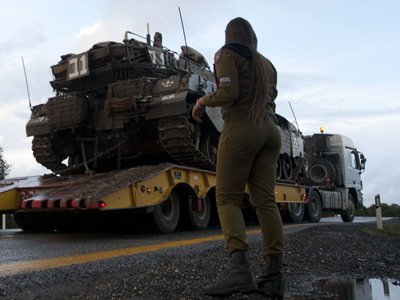 Israel filed a complaint with the United Nations Security Council after three Syrian tanks entered the demilitarized zone in the Golan earlier this month. During the 1973 Yom Kippur War, Syrian forces crossed the ceasefire line into the Golan Heights in an attempt to retake the territory. Syria's troops were repelled by Israeli forces. 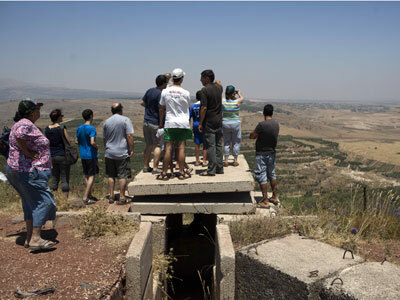 Israel annexed the Golan in 1981, a move that was rejected by the international community. Israel returned a narrow demilitarized zone to Syrian control, which is currently patrolled by UN peacekeeping forces.